Compressors manufactured and distributed by FTI International are engineered to operate with a range of Industrial gases at low-vibration levels. These compressors are reliable, durable, efficient and available in configurations to suit a variety of industrial applications, including low pressures and high capacity requirements. Our compact, lubricated and non-lubricated, heavy-duty, horizontally opposed, multistage, reciprocating compressors use interchangeable components between compressor models wherever possible. Our engineering team of experts have used modular design principles to maximize the availability of parts and minimize your operation’s downtime. FTI International Group Inc.’s bareshaft compressors are available to qualified packagers. We will also assemble complete compressor packages to meet customer specifications. All manufacturing is done in our manufacturing facilities in Toronto, Ontario, Canada. All finished products are thoroughly tested before shipment, guaranteeing trouble free start-up and customer satisfaction. 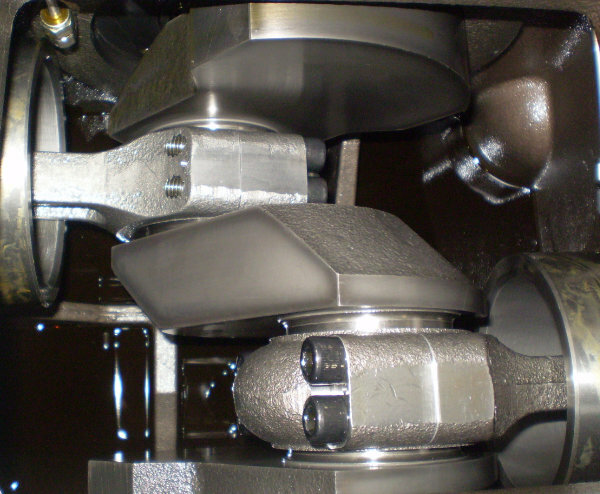 Vibration-free operation is achieved through the horizontally opposed, balanced design. Proven simple design for reliable operation and easy service. Standard components throughout the range of models, means that smaller parts inventories are required to service the many different models. Efficient and economical: every compressor is sized and designed to suit each application, without compromise. 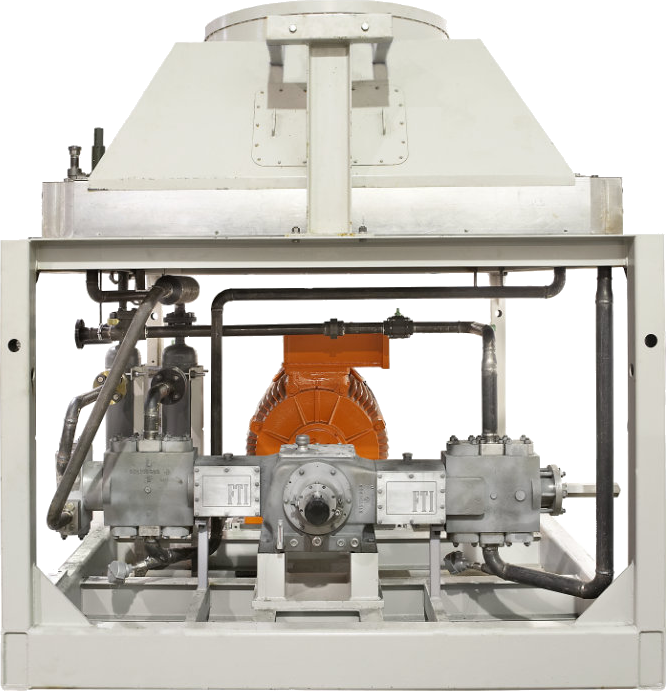 Lower maintenance costs because of the simple, efficient design of the compressor. 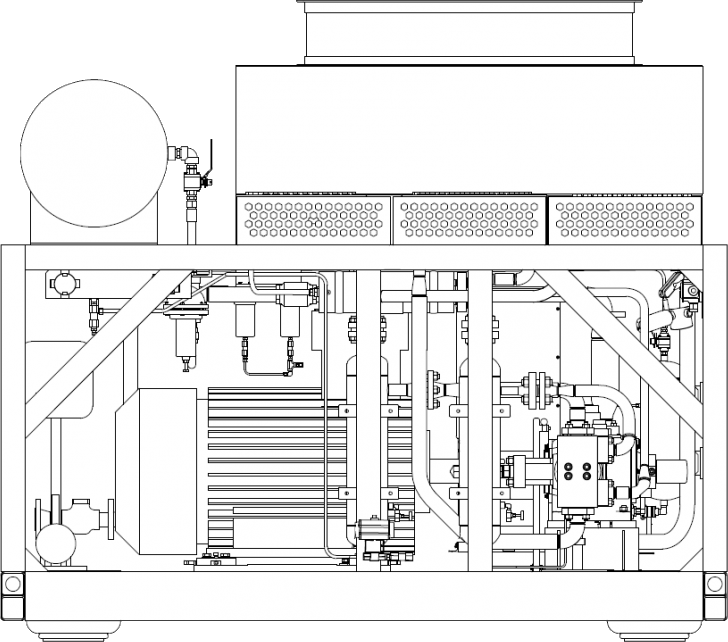 On CNG applications, the streamlined design eliminates the cooling system due to lower adiabatic coefficient of CNG. The low pressure cylinders are massive cast cylinders which absorb a large amount of heat and vibration. All piston rods and all material ratings follow API and ASME standards.